Today's post is about best ways how to wear cropped, ankle-length and cuffed pants. There are so many types of pants out there and there is one style that can make everyone look fabulous and glamour. Yes, these are cropped trousers. In this article I am going to show you how to wear them in real life for making a balanced look. I am absolutely sure, you are going to love every single outfit in this collection. Scroll down to see stunning ways to style cropped bottoms this year. 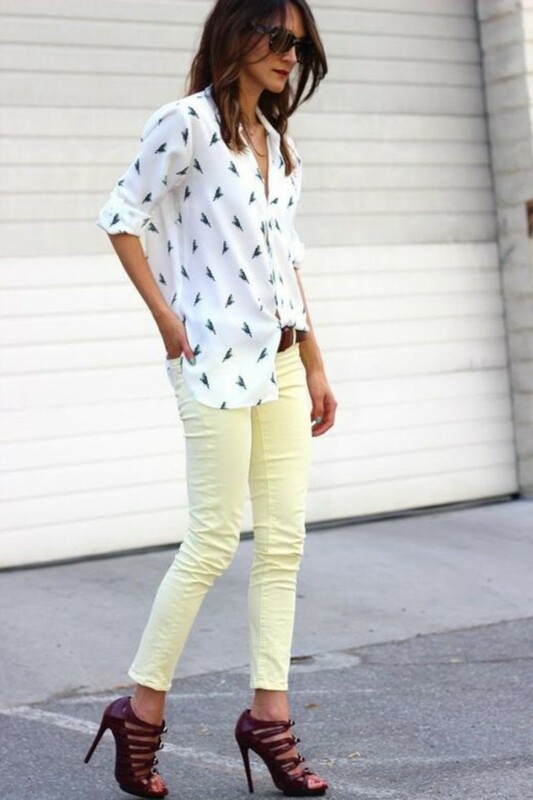 The white printed shirt can be untucked and paired with pale yellow cropped skinnies styled with multi cut-out booties.